Summer. It’s my weakness when it comes to our finances. 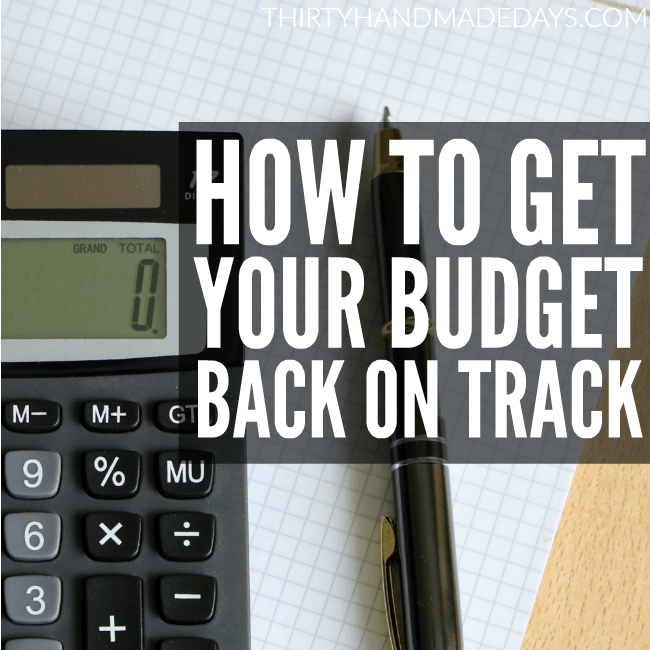 We end up so busy that I usually end up totally forgetting to even pay attention to how much we’re spending and what our budget is and usually end up struggling to get our budget back on track. But over the years, I’ve learned how to wrangle in our budget and get it back under control before it goes so far out of control that it’s mission impossible to reel back in. The moment you realize that you’ve been failing with your budget (or not budgeting at all), stop and start. Stop spending money until you’ve sat down and gone through your budget. Once you’ve figured out what your budget is, then you can start spending money based on your budget. If you’ve never created a budget before it may be a tad bit more challenging to create one, but it’s not impossible. 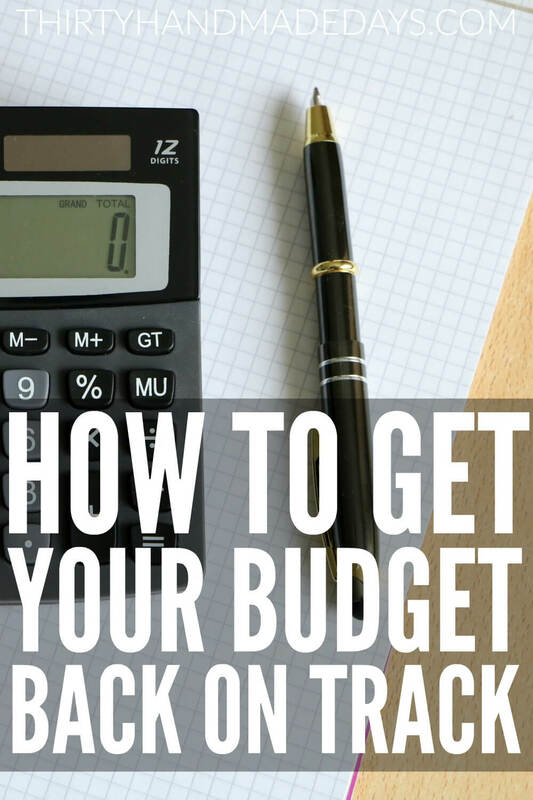 I suggest using the Quick Budget which is literally a super quick way of creating a budget based on the money already sitting in your bank account. 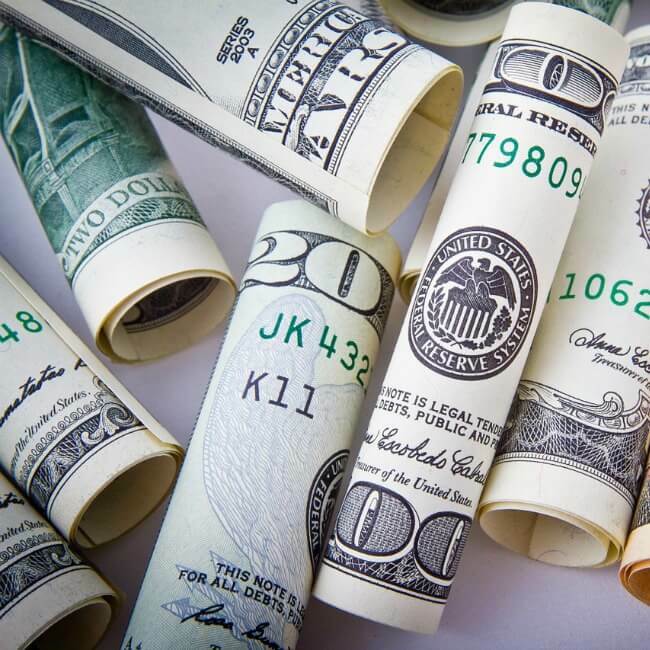 The reason for doing this, is whenever you create your budget, I suggest you start with these expenses because they’re the ones that you not only should pay but want to pay in order to keep a roof over your head and food in your stomach. Once you have your priority expenses accounted for in your budget, you can then move on the less important ones, like entertainment. I’m a huge fan of the cash envelope system and use it for the majority of our household spending. It literally keeps my budget in check because I can only spend a certain amount of money on that particular category. Think about this way: if your shopping budget is $40 and you’re shopping with your debit card and when the cashier rings you up, your total comes to $43, what do you do? Do you ask her to put something back or do you just swipe your card and move on, thinking “oh it’s just $3, no big deal”. Well, after a while it does become a big deal because you just went over your $40 budget and if you don’t re-do the entire budget to account for that $3 overage, your budget will not be balanced. And if you keep repeating this over and over with all your purchases, you’re going to be going into the red every single month. With cash, it’s a little bit more challenging to go over your budget. Same scenario as above, but this time you’re shopping with just $40 cash in your pocket. So when the total comes up to $43, what do you do? You literally don’t have $3 extra to spend. You’d have to put something back to bring the total down to $40. Cash literally forces you to stick to your budget. I’m convinced that one of the main reasons we end up letting our budgets go out of control is due to a lack of goals. Most of us know that we should set up an emergency fund and should regularly contribute to it but what about other savings goals? What about Christmas? I mean, Christmas is on the same day of every year but yet, it still somehow seems to creep up on us and before we know it, we’ve completely destroyed our budgets to afford it. How about making Christmas a savings goal – “I want to have $400 to spend on Christmas this year” and then work to save that money up by Thanksgiving? You could also set up a savings goal for other things, like a shopping spree, new car, new computer, or even new furniture. The possibilities are endless for what you could save up for! I’m a firm believer that by having set financial goals in place, you’re more likely to stick to your budget because you know that you’re working towards something in the future. These are just a few of the ways that you could work to get your budget back in gear after the lazy days of summer. But the key to remember is to keep working the budget – make a budget, stick to it, and revise it as often as necessary. It doesn’t have to be perfect to be done. What is your best advice for getting back on track with your budget? Jessi Fearon is the founder of the popular personal finance blog, TheBudgetMama.com, where she shares her family’s real life on a budget in order to inspire others learn to manage their money better. Jessi’s work has been featured on Buzzfeed, Rockstar Finance, TIME/Motto Magazine, Money Saving Mom, and The Penny Hoarder. Jessi resides in the foothills of the Blue Ridge Mountains of North Georgia with her husband Pat and their three children Conner, Collin, and Charlotte.